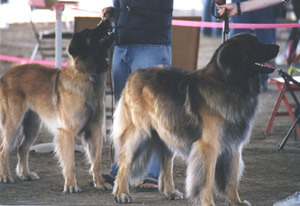 The first time Yoshka (handled by Elsa's mom, Lisa Stalteri) takes BOB with his litter mate Basie taking Best of Opposite. All of this happened on their birthday! Unfortunately, he blew his obedience performance—well, such is life.